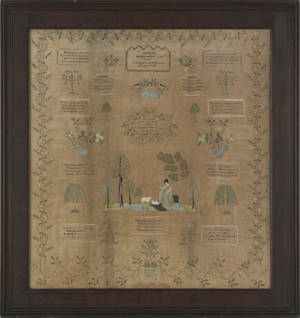 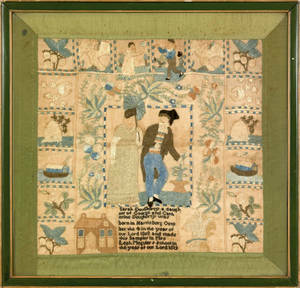 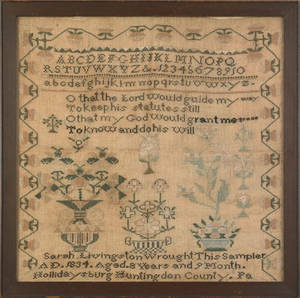 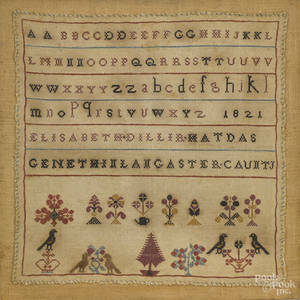 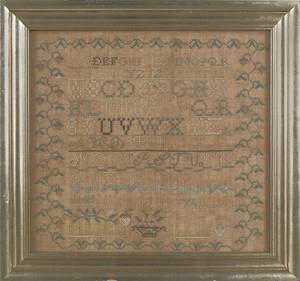 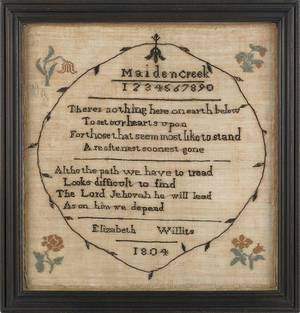 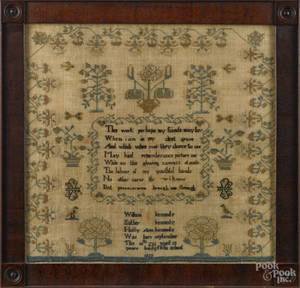 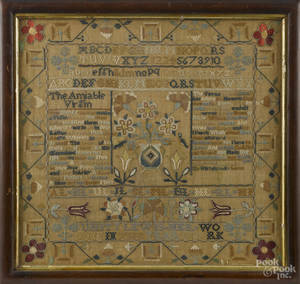 Lancaster County, Pennsylvania silk on linen sampler dated 1800, wrought by Dolly Sheller, attributed to Miss Galligher School , the central script surrounded by hearts, geometric devices, and church with trees, 17" x 17 1/2". 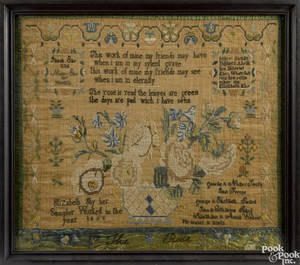 Another sampler by Dolly Sheller is illustrated in Ring, Girlhood Embroidery , pg. 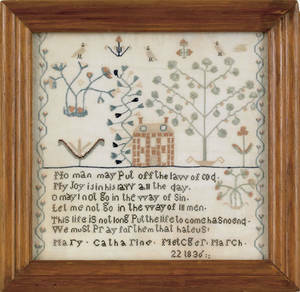 415, fig. 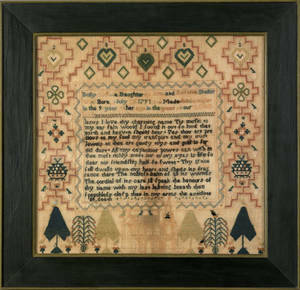 460.